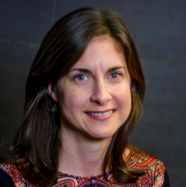 Megan R. Carey is principal investigator at the Champalimaud Neuroscience Programme in Lisbon, Portugal. Megan received her PhD from the University of California, San Francisco, where her thesis work on the neural mechanisms of motor learning was awarded UCSF’s Krevans Distinguished Dissertation Award. As a Helen Hay Whitney Postdoctoral Fellow at Harvard Medical School, her research focused on cellular mechanisms of neuromodulation and synaptic plasticity. In 2010 Dr. Carey moved to Lisbon, Portugal to start her independent laboratory at the Champalimaud Center for the Unknown. Her lab combines quantitative behavioral analysis, genetics, and physiology to understand how the brain, and the cerebellum in particular, controls coordinated movement. Megan is an International Early Career Scientist of the Howard Hughes Medical Institute and recently received a Starting Grant from the European Research Council. She has been involved in organizing a number of international scientific conferences, including the Champalimaud Neuroscience Symposium (2011, 2016), Cosyne (Computational and systems neuroscience, Utah, USA), and FENS 2016 (Copenhagen, Denmark). Dr. Carey serves on the Open Science panel of the RISE high-level advisory group to the European Commission.